I get messages like this a lot. 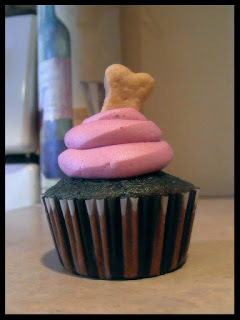 One of the biggest misconceptions about making homemade dog treats to sell is that it's an easy way to make money. In April of 2016, I published a blog column explaining the process of legally selling homemade dog treats. You can read that here. We live in Connecticut. I wrote about our experience based on the Department of Agriculture laws for our state. I'm sure the laws vary from state to state to state, however, there are laws when distributing homemade dog treats and other animal feed to the public. In our state, it's a somewhat lengthy process to get started and it involves spending money on getting each flavor/product analyzed at a feed lab for the percentage of crude protein, crude fat, crude fiber, and moisture. The feed lab we went with charged $35 per flavor/product to analyze. We needed this information for the label that had to be approved by the Connecticut Department of Agriculture. They have a strict labeling system. We had to send in a mock label. The charge to have a single label licensed is $80 per year. And, that's per flavor/product. To put this in perspective, if someone wants to start making 5 different kinds of homemade dog treats to sell to the public, the initial cost of the feed lab alone would be $175. That's an approximate amount. The fees for feed lab analysis varies depending on which one you choose. Once you got the analysis of each treat, you'll have to make a mock label with all the information your state Department of Agriculture requires. When that's done, and all the paperwork is filled out, the cost of getting those 5 treat labels licensed would be $400. Again, that's an approximate amount. The fees for your state may vary. So, before you're able to sell a single treat, you'll be forking out $575. The feed lab is a one time fee. The cost to keep your labels licensed is not. Each year, in December, we had to fork out $80 to license our label. If you're selling 5 flavors/products, it would be $400 a year. The single flavor treats we sold only had 4 ingredients. Peanut butter. Flour. Water. Baking powder. We didn't have to worry about the additional laws and inspections surrounding treats made with meat and dairy. I explain this to everyone who messages me about making and selling homemade dog treats. It's not an easy way to make money. As with most entrepreneurial ventures, it will require research, time, and money before you can sell a single dog treat. Please follow the Department of Agricultural laws for your state. Also, don't hesitate to reach out to the Department of Agriculture in your state. We had a great experience with the gentlemen we reached out to. He was more than helpful with providing information on feed labs and he answered any questions that we had. That made the process much less tedious. Making and providing homemade dog treats is a wonderful thing. There are so many pet parents out there who don't have the time to do it. Just make sure you go about it the right way.